Among the great things at the Peyresq summer school is the wonderful atmosphere. 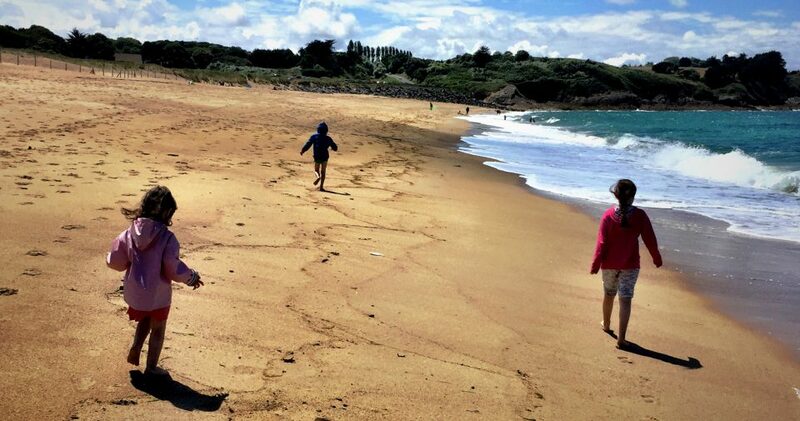 Of course, staying in a stunningly beautiful place helps. 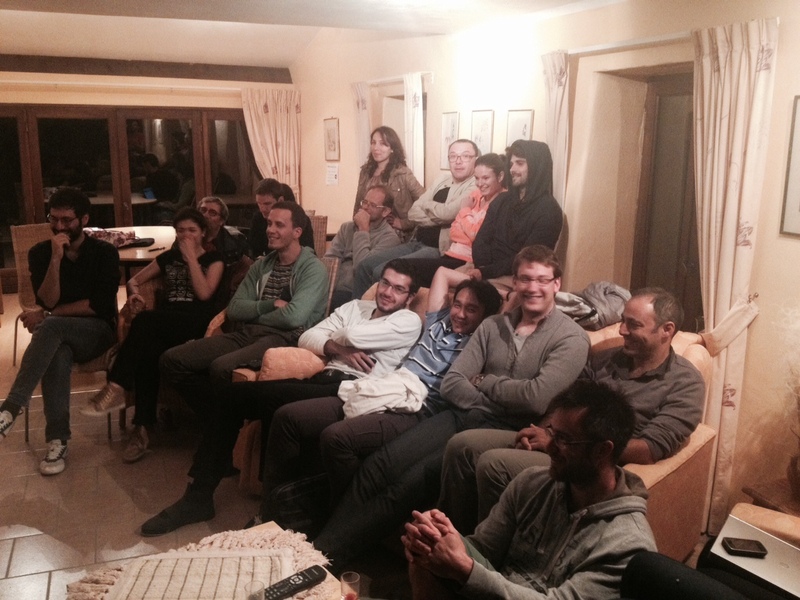 Here is the french community packed in front the village’s only TV set, agonisingly waiting for France to score against Ecuador. Yesterday morning was also fun thanks to a power outage that left us without beamer. 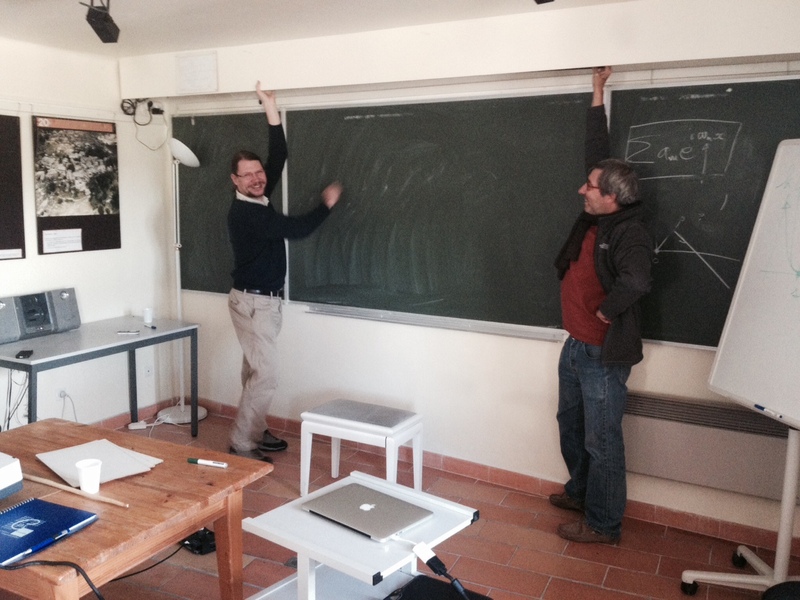 I improvised my talk on the blackboard, with a little help from Patrick and Olivier.